I know, I know, I’ve been stringing you along with hints of my fabulous surprise cake for my nephew, and here it is! 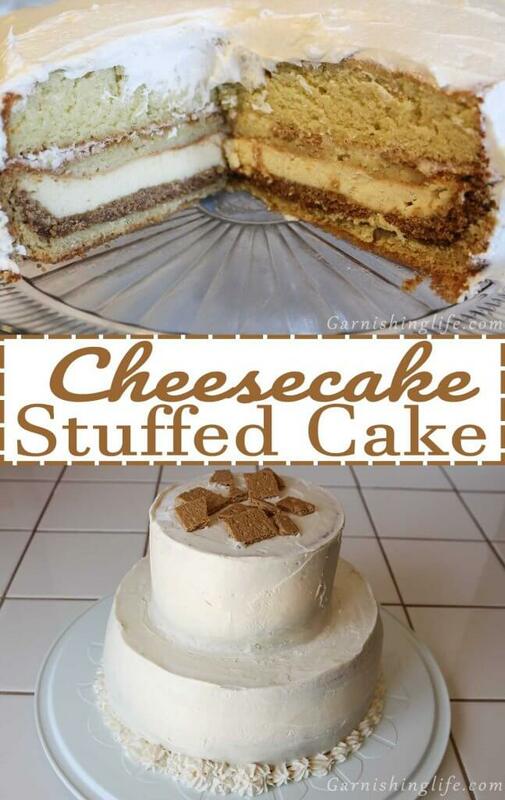 A Cheesecake Stuffed Cake! 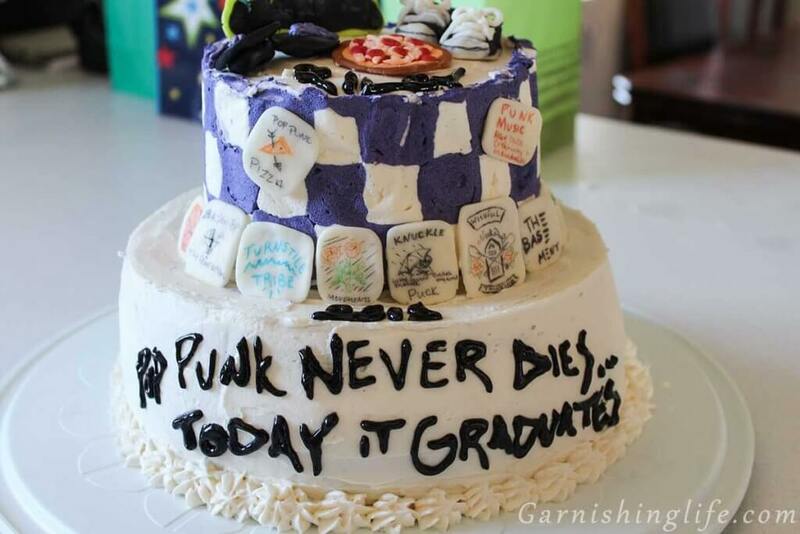 He asked me to make his High School Graduation Cake, but I kept the flavor a secret from him. He had no idea that there was a hidden cheesecake – his favorite. And now, we put it alllll together! 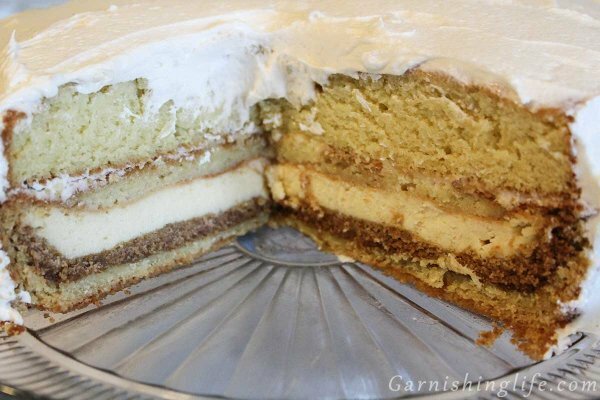 The cake and frosting recipes themselves will be the same, however, I scale down the cheesecake just a bit to fit inside the cake – and I take down the tangy just a notch. This Cheesecake stuffed cake was a huge hit! Everyone was so impressed and perplexed by how delicious it was. And really, all you do is bake a cheesecake, then put it in your cake batter! So, let’s get into it. Pictured, I used a glass pie dish, however, keep in mind that the cheesecake will be removed from this dish when it goes into the cake. You may use a springform pan for easy removal. Generously spray 8” pie dish with cooking spray, you want that cheesecake to come right out of the pan when finished. 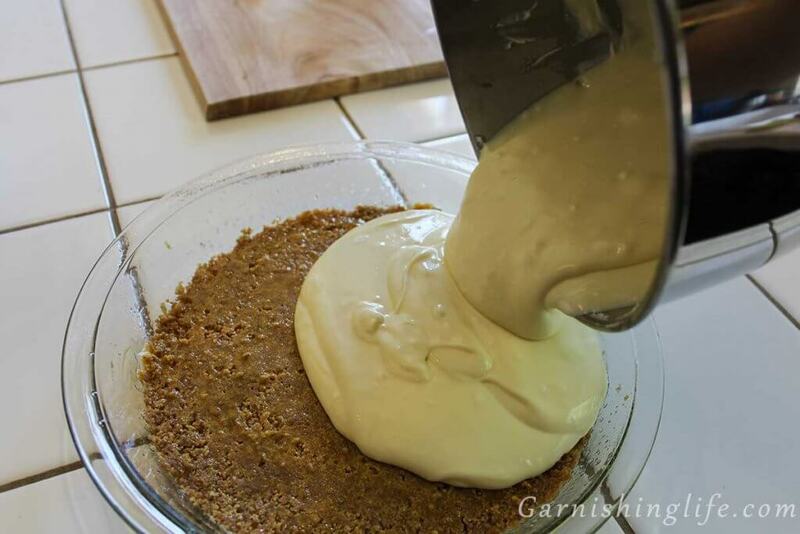 Combine the Graham Cracker Crust ingredients: graham crackers, sugar and melted butter to make a moist crumble mixture. Press into bottom only of the pie pan. Refrigerate for one hour. 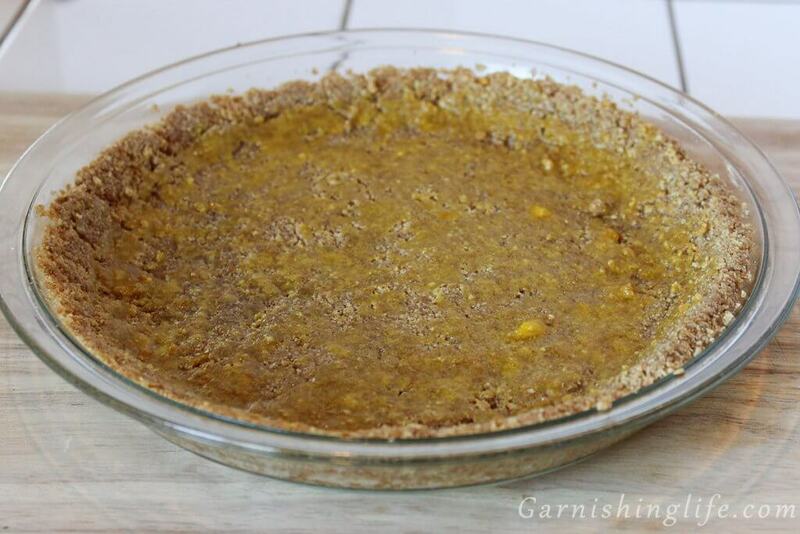 I do this to help the crust harden a bit – but you can skip if you want to. I’ve found the next step is easier on a slightly harder, cold crust. Preheat oven to 350°. Then stir up the yolk a bit and gently, but quickly brush over the crust. Being careful not to go over the same spot too many times. And bake for 10 minutes. Remember to let it fully cool before filling. Preheat oven to 350°. With a stand mixer, beat room temperature cream cheese and sugar on medium. Don’t use it straight from the fridge, as this results in a lumpy filling. Add sour cream, vanilla and whipping cream. Mixing between each addition. Then, one at a time on low, mix in the eggs. Pour into crust and bake 50 minutes. Turn off the oven and open the door, allowing the cheesecake to continue baking as it cools for an additional hour. Cool completely. Wrap and freeze overnight. Preheat the oven to 350°. 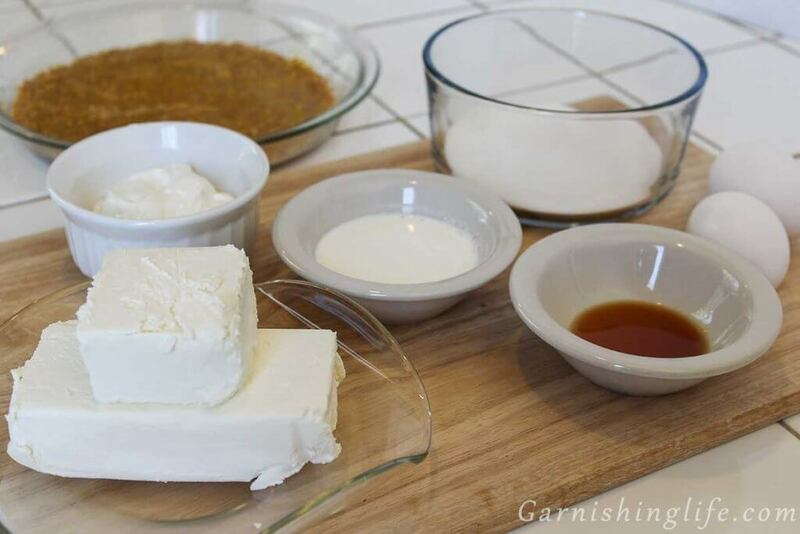 Making sure to use room temperature butter, cream with sugar in standing mixer. I consistently will stop the mixer to scrape the sides of the bowl with a spatula. Don’t forget a splash guard – mix in eggs one at a time. Keep it on low. Again, keep scraping the sides and add vanilla. In a measuring cup (1 cup size or larger), pour the tablespoon of lemon juice. Now, these next 2 steps you want to move a bit more quickly as the concoction can get a little chunky as it sits and you want to maintain a smooth liquid mixture. First, pour milk over the lemon juice and stop at the ½ cup mark. The measuring is a bit odd, because the amount of milk is ½ cup minus 1 tablespoon. The total amount you measure with the milk and juice is going to equal ½ cup. Pour this into a small bowl. Quickly, but gently, stir baking soda into the lemon-milk mixture and then pour into the cream mixture. In a bowl, whisk the sifted flour with the pudding mix, salt and baking powder. Give it a good stir so that it’s nice and airy. Before adding the flour to the mix, I will start my water on the stove so that it is boiling when I’m ready for it. One spoonful at a time, add the flour mixture to the cream mixture while mixing on low. I allow each spoonful to incorporate before adding more. Keep the mixer going as you continue to add the flour mixture. Don’t forget to stop and scrape the sides if flour builds up on the bowl. And last, you add the boiling water. This will activate that pudding in the flour mix. Mix thoroughly to combine, but don’t overmix. The batter will look very runny. Pour just enough batter into prepared 9” or larger cake pan to cover the bottom. Gently remove the frozen cheesecake from its pan and place into the center of the batter, allowing clearance around the cheesecake for additional batter. Pour just enough batter over the cheesecake to fully cover. You want just a thin layer over the top so that it can cook. If you leave a thicker layer, the cake may not cook evenly. Use remaining batter for the layers that will go on top. Bake according to cake recipe and allow to fully cool before frosting or assembling. For my cake, I made 3 batches of batter to allow for 2 tiers. The first tier was 2 layers of 9” size – the bottom layer containing your cheesecake and the second layer to cover it. The top tier was 3 layers of 6” size cakes, with just a Pastry Crème Filling. This cake was large, but I made it to allow for pieces to go to some who wouldn’t want cheesecake in their cake. I know, crazy. Then you frost with Light Buttercream Frosting. For the size of cake I made, it took about 2 ½ batches of frosting. Garnish with graham cracker chunks and crumbles. 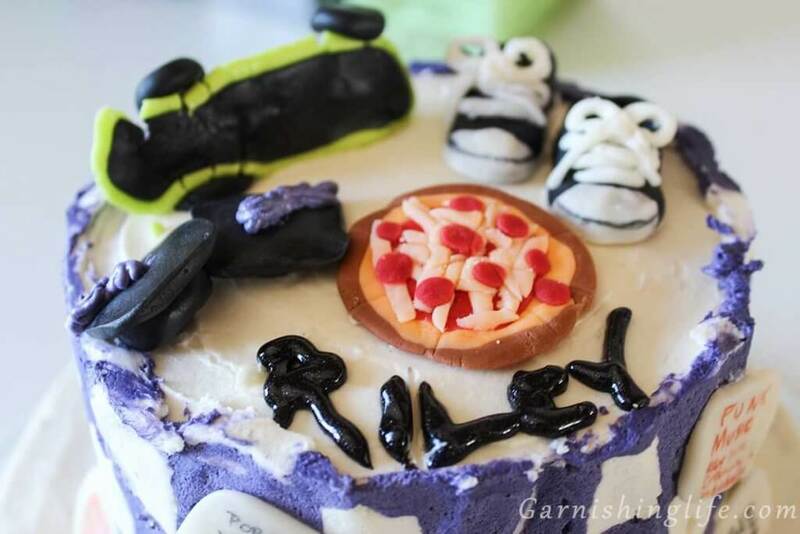 My nephew requested his cake to be Pop Punk themed, which means skateboards, pizza, Converse sneakers and lots of pop punk music. I am not the best with fondant, but here is how it turned out. If you’re interested in seeing more photos and close-ups of artwork, visit my personal Pinterest account. 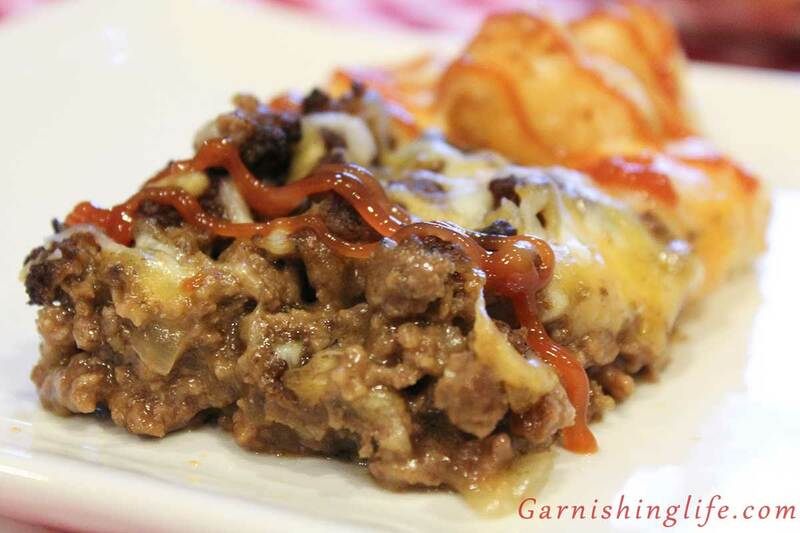 As always if you give this recipe a try, I’d love to see how it came out! 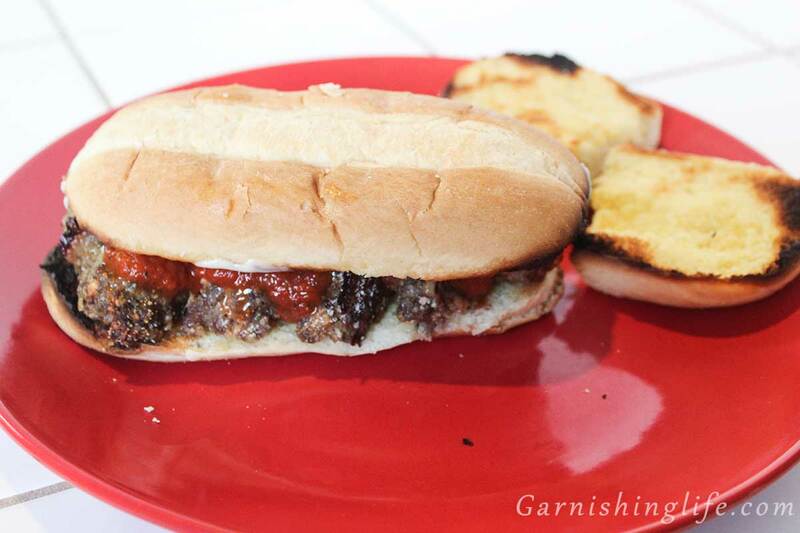 Please tag us on Facebook, Instagram or Twitter @Garnishinglife, and use #garnishinglife. I can’t wait to see your creations! Generously spray 8” pie dish with cooking spray. In bowl, mix graham crackers, sugar and melted butter. Press crumbs into bottom only of pie pan. Allow crust to come to room temperature while oven is heating. (If you turned off the oven while cooling the crust) Preheat oven to 350 °. Add sour cream, vanilla and whipping cream. Beat on low until combined. Mix in eggs, one at a time on low. Bake for 50 minutes, until middle is set. The cheesecake will not be fully solid, yet. On low, mix in eggs one at a time. In measuring cup, pour lemon juice and then top with enough milk for the liquid total to be ½ cup. Stir baking soda into the lemon-milk mixture. On low, mix the lemon-milk into the cream mixture. 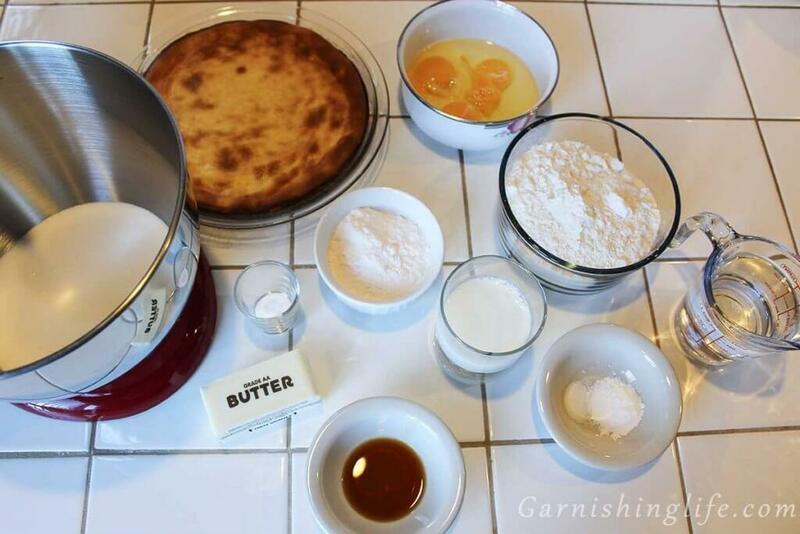 Whisk together sifted flour, pudding, salt and baking powder. Add the flour mixture to the cream mixture, one ladle at a time. Allow each spoonful to incorporate before adding another. 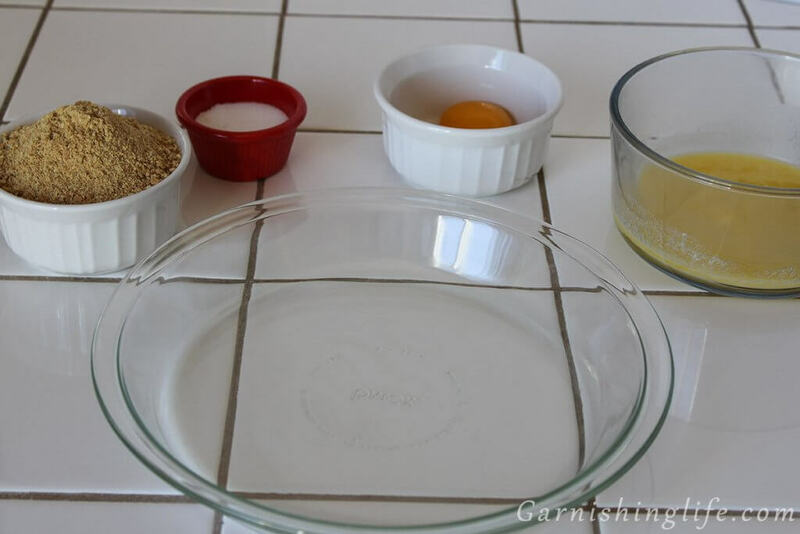 Prepare a 9” or larger, round cake pan with cooking spray. Pour just enough batter into prepared pan to cover the bottom. Set frozen cheesecake into the center of the batter, allowing clearance around the cheesecake for additional batter. Pour just enough batter over the cheesecake to fully cover with a very thin layer. Bake the remaining batter for additional layers. Allow to fully cool before frosting or assembling. Frost with Light Buttercream Frosting. Garnish with fresh fruit or graham cracker crumbles, as desired. Make sure you grease the pan well before adding crumbs, you may even want to use a springform pan. 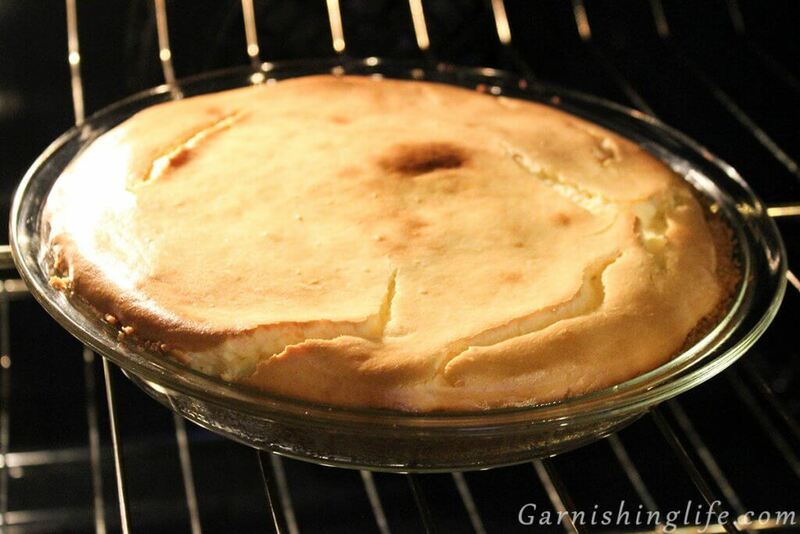 The cheesecake will be removed from the pan into the batter, so you want it to come right out of the pan. As you brush yolk over the crust, work very quickly, and gently. Be careful not to go over the same spot more than once or twice. The more you go over a part, the softer it will become, which can make it crumble. Ingredients blend best when they are at room temperature. Remove refrigerated ingredients at the same time. Using straight from the fridge will result in lumpy filling. I recommend using a stand mixer for more consistent blending. If a recipe calls for 2 cups of sifted flour, you sift and then measure. 2 cups of flour, sifted means that you measure 2 Cups of flour, and then sift. The placement of the “sift” in the ingredients is your clue as to what step you sift the flour. If it says sift first, you sift then measure! “Pre-sifted Flour” at grocery stores will still settle as it sits on the shelf. I hate to break it to you, but it’s still going to need to be sifted, or at the very least stir well with a whisk. If you used a springform pan for the cheesecake, gently run a knife around the edges before removing the sides. 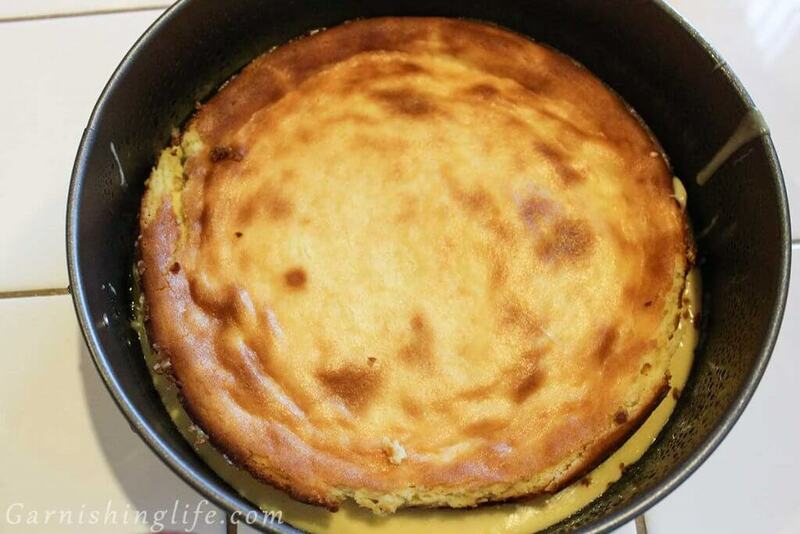 If you used a normal pan, do the same and then run a spatula slightly underneath the cheesecake to loosen. Flip the cheesecake upside down onto a plate. If pieces don't come out of the pan, just scrape them out with a spatula and place back onto the cheesecake. This doesn't need to look perfect because it won't be seen. Then flip from the plate into the prepared cake pan. When pouring batter over the cheesecake - be sure to cover with a very thin layer over the top so that it can cook. If you leave a thicker layer, the cake may not cook evenly. Use remaining batter for the layers that will go on top. For my cake (seen in the final photos), I made 3 batches of batter to allow for 2 tiers. The first tier was 2 layers of 9” size - the bottom layer containing cheesecake. 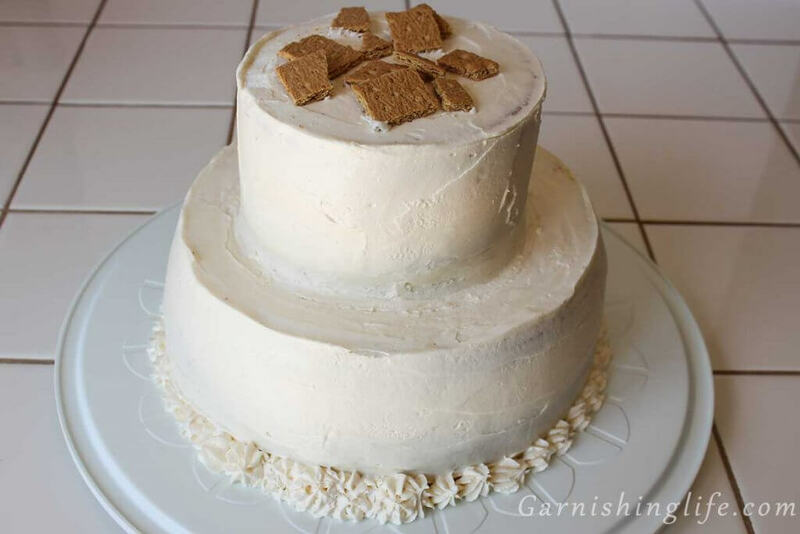 The top tier was 3 layers of 6” size, For the size of cake I made, it took about 2 ½ batches of Light Buttercream Frosting. If you make just one tier, this cake will still come out great! The cheesecake makes it rich and filling. 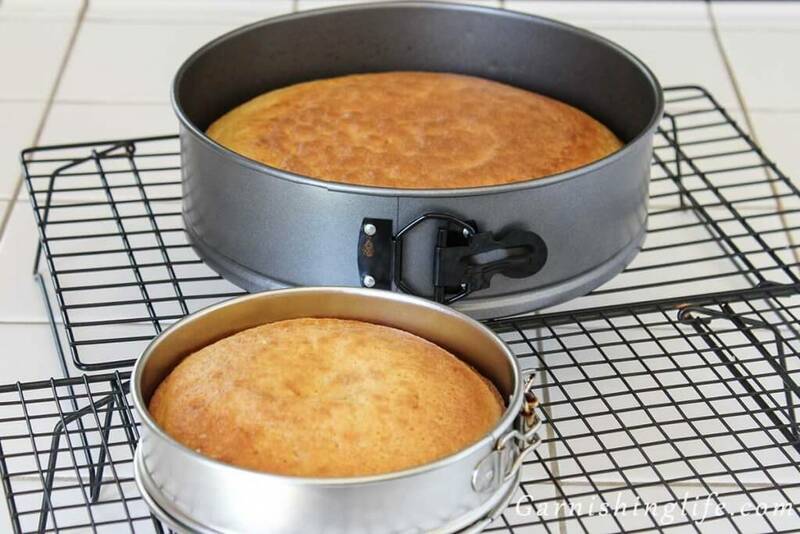 Keep cake refrigerated in an airtight container for up to 1 week.